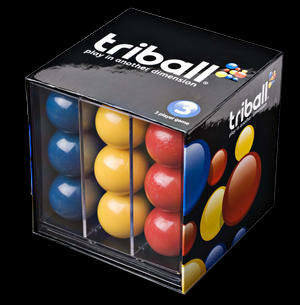 The triball move is when you play three balls in a vertical triangle. If played correctly it sets up three winning lines and with only two players to block you, guarantees a win. Comblined with the 'middle middle', the triball allows you to dominate the game.